The term Accounting is very common one and we hear about the same in our day to day life. 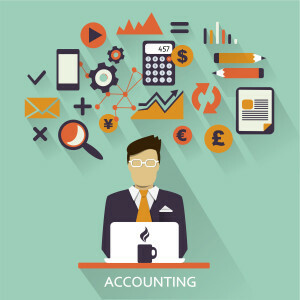 Before drilling down to other aspects of accounting, let us understand what does it means. In layman term “Accounting is a process of recording, summarizing, analyzing and recording of financial transactions of an enterprise.” Accounting is one of the most important functions of any business enterprise. It is often referred to as “Language of Business”. The origin of accounting can be traced back to ancient civilizations and over the years it has evolved. Accounting can be divided into various fields like financial accounting, management accounting etc. Both financial accounting and management accounting forms part of business accounting. Financial accounting focuses on statutory reporting whereas management accounting focuses on reporting information for internal use by management. Let’s discuss about importance of business accounting. Income statement shows the net income generated/net loss incurred by an enterprise during a particular accounting period. Balance sheet statement shows the financial position of an enterprise as on particular date. 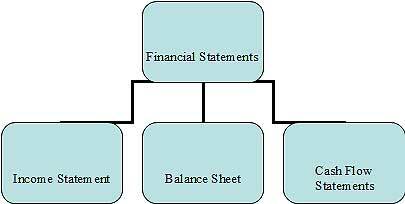 Closing balance of various assets and liabilities are reported in balance sheet. The excess of assets over liabilities is capital. Cash Flow Statement shows how changes in balance sheet and income statement which affect cash and cash equivalent. Basically it shows cash inflows and outflows among operating, investing and financial activities of an enterprise. These three statements when combined together forms Financial Statements . The financial statements are required by all the stakeholders. As discussed above, the accounting records reflects the results of operations as well as statement of financial position. Also various balance sheet and profit & loss accounts ratios are calculated which help user of financial statements to analyze the performance of an entity. For example debt equity ratio, Current ratio, Turnover ratio etc. Also we can compare previous period accounting data with current period as well as budgeted figures for variance analysis. The working capital and cash requirement of an enterprise can be duly taken care by proper accounting system. Proper business accounting ensures timely recording our liabilities which needs to be paid within the prescribed time line. This includes provident fund, pension fund, VAT, sales tax, Income tax. Timely payment of liabilities helps enterprises to be statutory compliant. Accounting data helps an enterprise to prepare budget and forecast for future period. Business trends are projected based on past data produced by accounting system. The accounting system provides a number of qualitative and quantitative customized reports which are required in day to day business activities. For the above we can conclude that accounting is very important for any enterprises whether listed or unlisted, profit oriented or not for profit, Government or private. Early 2000 witnessed a series of accounting frauds in United States involving major companies like Enron, WorldCom and some other entities and Auditing firm Arthur Andersen. In these cases, independent auditor failed to report illegal accounting practices. Such accounting fraud and scandals resulted in fall of Arthur Andersen. Post such scandal Sarbanes and Oxley Act was introduced in United States of America. This act requires top management of an enterprise to certify the correctness of financial statements, auditor’s independence and formation of Public Company Accounting Oversight Board (PCAOB) among other things. Similar accounting fraud was witnessed in India in January 2008 when Satyam Computer MD publicly accepted that he along with top management and independent auditors had fudged books of accounts of the company over several years. From the above we can conclude that accounting not only helps an enterprise to conduct its day to day activities smoothly but also helps in its future growth. At the same time financial statements produced by various accounting systems are used by multiple stakeholders to take economic decisions. Proper reporting and accounting practices helps in maintaining investors’ confidence and brings economic growth as well.